Machines entry door stile and rail door parts as well as cabinet door parts, chair legs and furniture parts, up to 102" length and 7" width. One operator to machine profiles for the rail copes, stile and rail sticking and raised panels with rapid change over, all on one machine with high productivity. 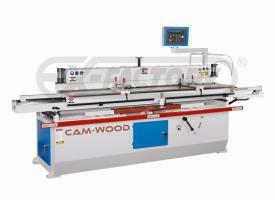 Hydraulic table movement from right to left to achieve powerful cutting and adjust cutting speed variability. Table movements in and out are pneumatically powered following a template very high accuracy. One operator to machine all profiles for stiles and rails on one machine, along with raising all panels both edges top and bottom. 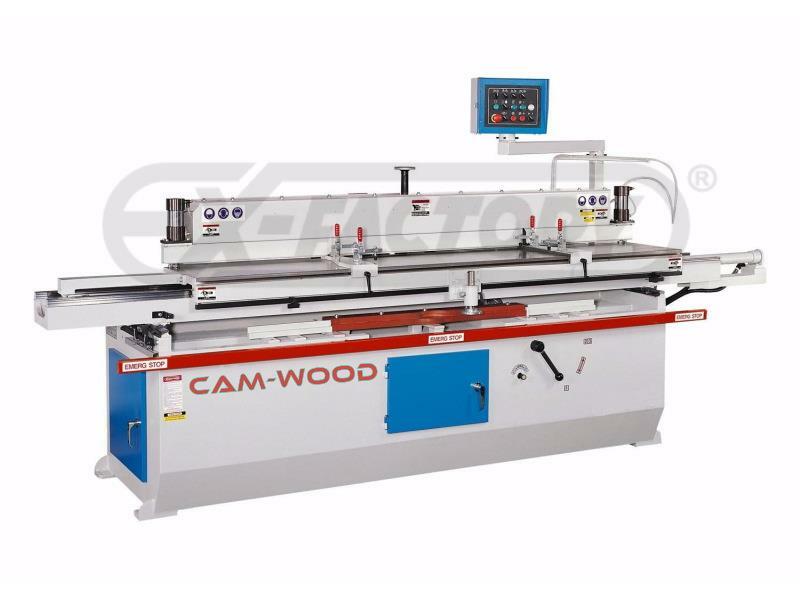 Capacity for machining a 6" arch/oval on panels and rails, and raises both faces on a raised panel at the same time (arc size varies depending on cutter diameter). Raise a curved panel up to 6" radius both on rails and panels. Machines door stiles up to 102" in length. Hydraulic pump unit for accurate table speed control. Simple guide system follows templates for curved or arched profiles and is quickly repositioned for straight machining profiles. Cutterhead knives can be stacked on the same spindle to eliminate changing machines to machine door parts. Easy stop system for door stiles or rail lengths. Two separate stops work for rail/stile/panel arch cut positions. Heavy duty 15 HP motor, allows for high speed cutterhead to eliminate unnecessary sanding. Proximity switches control the cutting stroke. Linear guide rails and bearing for a lightweight & smooth slide. More than one part may be milled at one time. Pneumatic holddown cylinders hold parts tightly without slide during cutting. Easy positioning of parts on a precision ground, cast iron table ensures accurate stile rail and panel machining and alignments. Spindle Motor 15 HP @ 7,000 RPM; Hydraulic Motor 1 HP; Feed Speed 0-60 FPM. Depth of Radius Cut 6”; Min. Radius Cut 6" (based on cutter diameter). Dust Hood is 4" dia. Note: Delivery time about 10-12 weeks. Comments: Great Value for 102" high Entry Doors or long Cabinet Doors!